Amber Lee took 1st Place in L8 Tumbling at the National VIP Classic. Local athletes from J&J Trampoline and Tumbling have just returned with a little more hardware to add to their shelves. 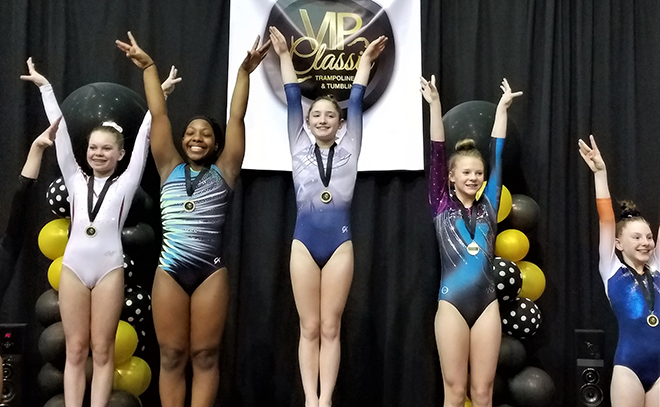 Amber Lee of Durand and Sarah Thompson of Davis both represented the Northern Illinois region well at a USA Gymnastics National Invitation event, the VIP Classic. 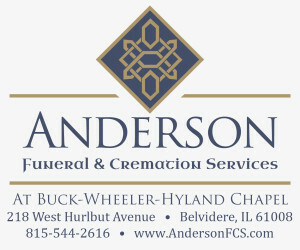 This competition was held in Evansville, IN, March 1-3. Amber Lee competed in Level 8 13-14 year old division of Tumbling taking first place honors. Amber also placed second bringing home the silver medal in Level 9 13-14 year old Double Mini Trampoline as well as 7th in L9 13-14 year old Trampoline divisions. Amber performed new routines with higher difficulties in each of her divisions preparing for a strong run to the National Championships in July. Sarah Thompson competed in the Junior Elite division of Tumbling for athletes ages 15-16 and brought home 2nd place honors. This is Sarah’s first year as a Junior Elite, which is the second highest level of competition just below Senior Elite division for athletes ages 17 and older. This competition is one of three designated national level events that will be used to select the four athletes in her division for the 2019 USA Gymnastics World Age Group Tumbling Team. These athletes will represent the United States at the World Age Group Championships this December in Tokyo, Japan at the future site of the 2020 Olympics. With Sarah’s finish at this competition it puts her in a very good place and she is currently ranked first in her age division nationally for the Worlds team based on a separate selection process. Sarah will have to keep her top four ranking at two additional national competitions at the Elite Challenge in Greensboro, NC and at the 2019 USA Gymnastics National Championships for Trampoline and Tumbling in Des Moines, IA.